It’s one thing to coin an acronym, another for it to be widely adopted. For this reason, we at International Investment haven’t added any new acronyms for some time to our list (click here, if you’ve never seen it; or scroll down, it’s on the home page of this website). But with the current boom in tech stocks (some are calling it a bubble), it was probably only a question of time before something acronymic would emerge from the sector. And so, it seems, it has. The recent appearance in financial circles of “FANG” (or, some say, “FAANG”) has been similar to the way “BRIC” suddenly appeared in financial circles, beginning in 2001. BRIC, as you may recall, became a global buzzword after then-Goldman Sachs executive Jim O’Neill coined the acronym to describe the four then-seen-as-hot, economically-developing emerging market countries of Brazil, Russia, India and China. Some acronymologists will point out that although Apple wasn’t originally included in the acronym, and that it started out as simply FANG, by rights an A for Apple should be included in the grouping, as the acronym is seen as a short-hand for a certain type of blue-chip internet-based tech stock, with a heavy weighting in the “internet of things” arena, which Apple should be a part of. 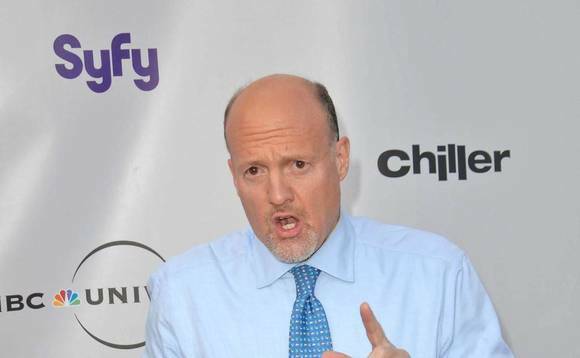 As for who gets the credit for coining FANG, most agree it was CNBC’s stock market presenter Jim Cramer – including the “Mad Money” host himself (pictured above). “Wherever I go, actually,” he added. “I guess when you mention something for about 50 straight shows, others start picking up on it. Booyah. We should point out, while we’re at it, that some people prefer “FAAMG” to FANG or FAANG, which stands for Facebook, Apple, Amazon, Microsoft and Google. The last acronym we added to our compendium, before FANG, was another one with its origins in the US: “WWC”, which a US academic named Joan Williams has brought to the fore, in reference to what she says is a huge socio-economic group that America’s “professional-managerial elites” have long ignored, until Donald Trump came along and gave it a voice. The WWC are the subject of Williams’s latest book, White Working Class: Overcoming Class Cluelessness in America, published in May by the Harvard Business Review Press. Editor’s note: This story was published on 12 June. On Friday, 9 June, US technology stocks – including those of the FANG/FAANG/FAAMG component companies –lost a combined US$140bn in market value, in a “correction” that many market observers, including Jim Cramer, had been predicting for some time. Before Friday, the S&P 500 tech sector was up 21.9%, compared with 8.7% for the index as a whole. However, many analysts said the tech sector remained strong, and that the price falls didn’t mean the beginning of the end for the FANG/FAANG Four/Five.